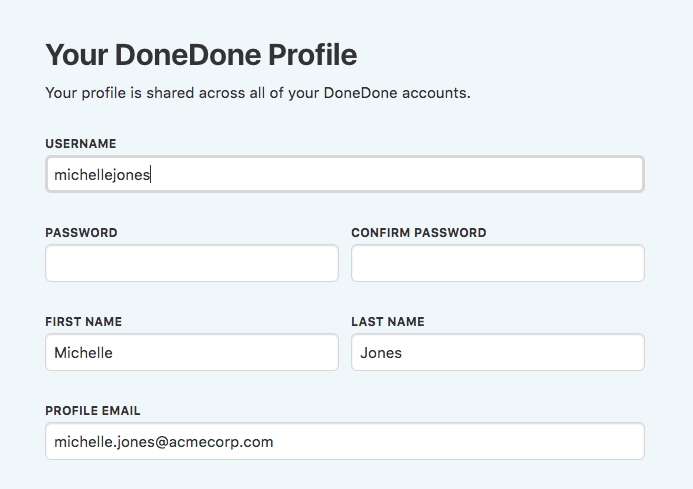 You can update your personal information, including your username, password, avatar, profile and account email address, and other contact information in the Your Profile section of DoneDone. Click the Global Settings icon, then click Your Profile. Update your information on the page and then click the Save Changes button. That's it!